What do a Marine who received a "Dear John" letter and a journalist who dumped her cheating fiancé have in common? Nothing, outside of being heartbroken over lost love. But when they accidentally end up next to each other jetting to a Caribbean paradise, they do share one thing: mutual attraction. 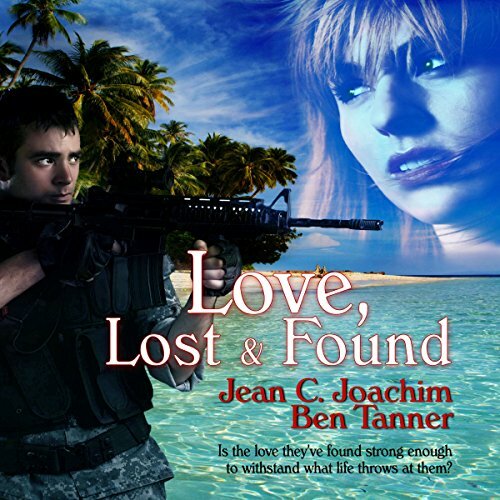 Friendship between Tara Mason and Sergeant Mick Peterson grows quickly in the romantic, tropical paradise of St. Thomas. An argument coupled with a blunder strand them on a small, deserted Caribbean island. Will wounds heal in the midst of nothing but sand and water, and possible starvation leading to death? The challenges don't stop. Long separations, danger, and loneliness keep them apart, questioning what they once knew to be true. Can love survive anything thrown at it? Or will the harsh realities of the world erode affection, replacing it with fear and a desire for safety at all costs? For such a deep voiced male narrator, he's able to get high enough to differentiate the female conversation. I get so lost oin listening to the narrator that I almost forget it's an audiobook and I try to make him talk back to me. He really brings this story to life. Amazing narrator plus am amazing author gives you an amazing book!!! What did you love best about Love Lost & Found? What about Jim Roberts’s performance did you like?